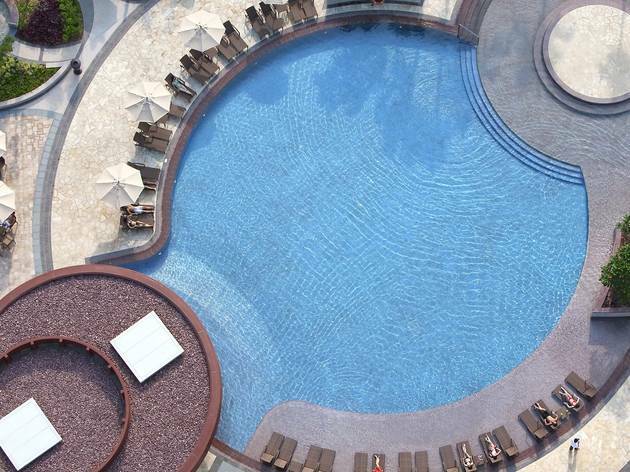 Dine by the pristine waters of these hotel pools and then plunge in to cool down afterwards. Whether you’re in Hong Kong or Macau, find out where you can lounge poolside and make a meal out of it. 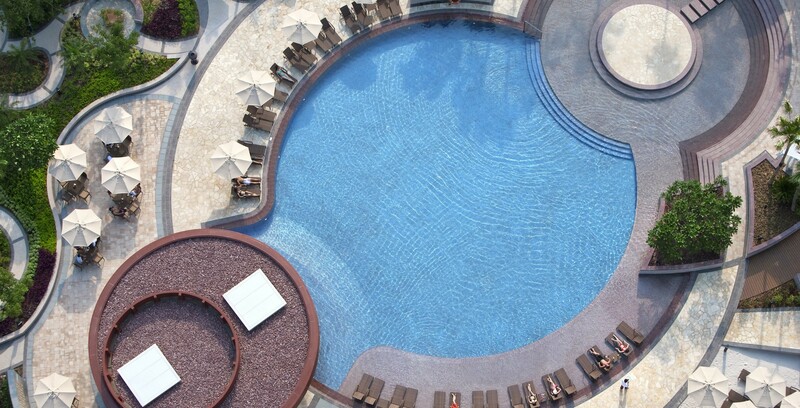 From now until July 10, the Hyatt Regency is offering a ‘Swim and Dine’ package where guests can enjoy the outdoor pool and have $300 credit towards menu items from the Pool Bar. Fill up and get wet! Sessions: 9.30am-1.30pm, 2pm-6pm, 6.30pm-10.30pm. $390 (Mon-Fri), $450 (Sat-Sun and public holidays). 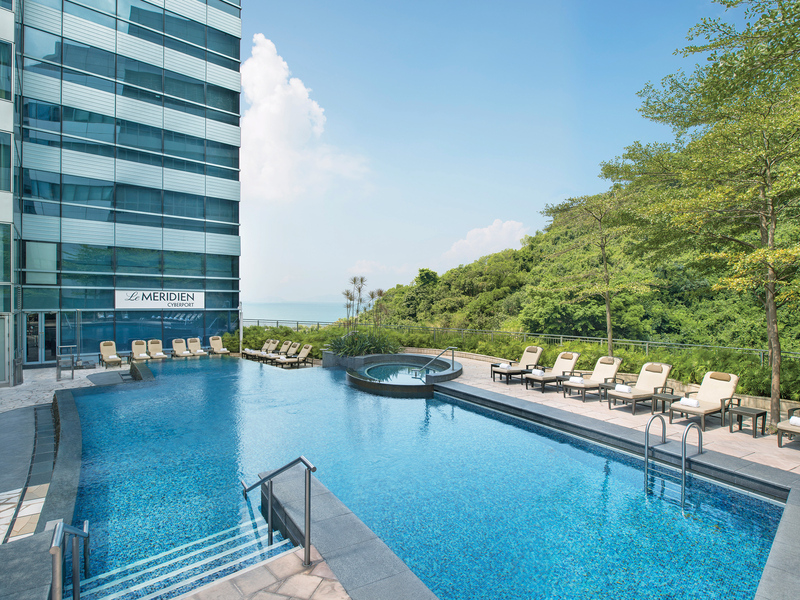 Available until October and the departure of the hottest summer weather, Le Meridien has a splash and lunch combo for those looking to take a break from the summer heat. 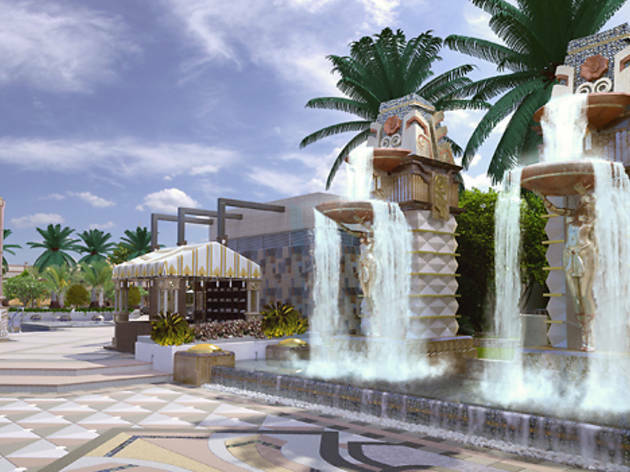 For $250 per person, guests can enjoy a lunch poolside with a salad, sandwich, fruit and sodas. 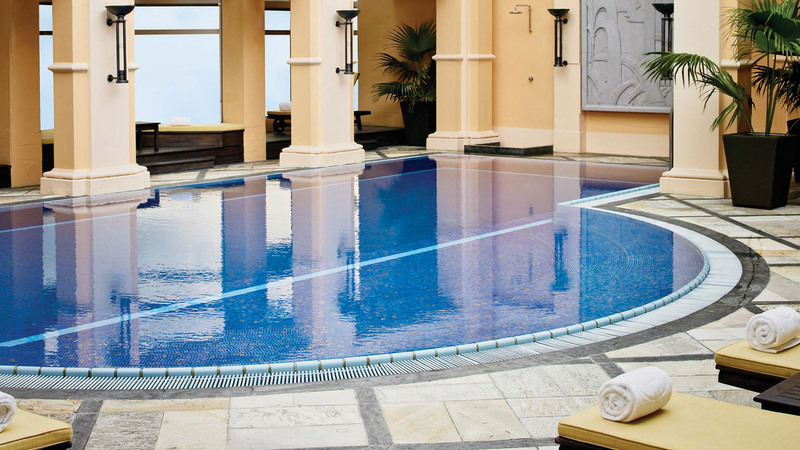 Plus paddle about the pool as much as you like. $250 per person. Mon-Fri, midday-5pm. 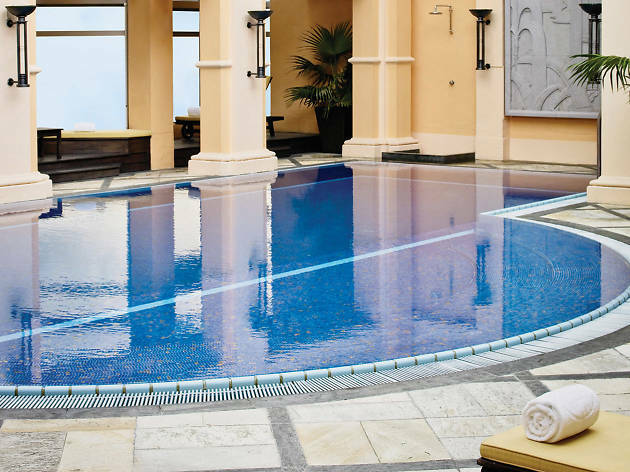 As elegant as the rest of the hotel, the pool on the 15th floor of this establishment is thoroughly charming. 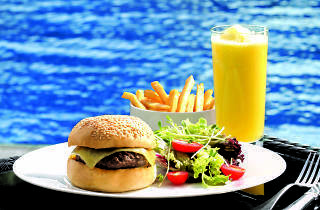 A pool pass costs $300 while there are a range of à la carte food and drink options available including cocktails, pizzas, salads and sandwiches. Swim, eat, drink and be merry. $300 for pool pass only. 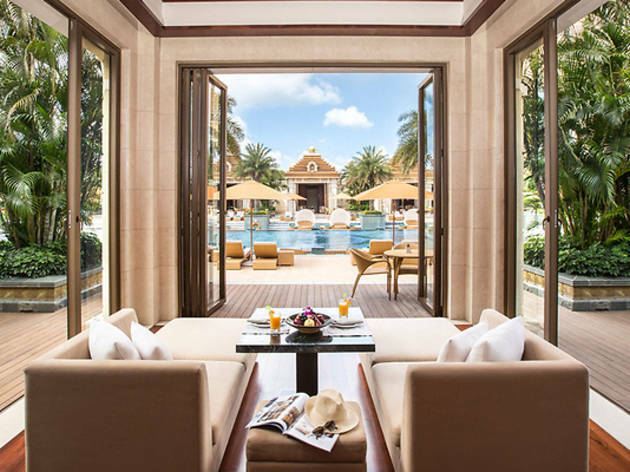 Head to the Sheraton’s Sala Pool where a sumptuous Portuguese barbecue featuring 12-hour slow-roasted suckling pig awaits. Also on the lineup are grilled chorizo sausages flambéed with brandy as well as cured ham and rib-eyes smothered in Portuguese piri piri sauce and spiked with a dash of brandy and honey. Live music provides the perfect accompaniment to all this indulgence, so head over for a memorable summer experience. $488. Fri-Sat 6pm-10pm. 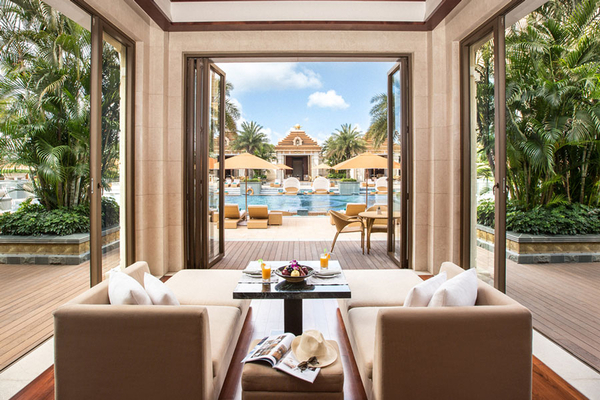 The ‘Cabana Chill-Out’ programme at this luxurious location is offering serviced poolside cabanas from just $1,800 which includes a bottle of Moët & Chandon champagne and F&B spending credit of $1,000 on delicious dishes such as noodles and fried rice and Western favourites too. Fall in love at the cabana! 10am-6pm. 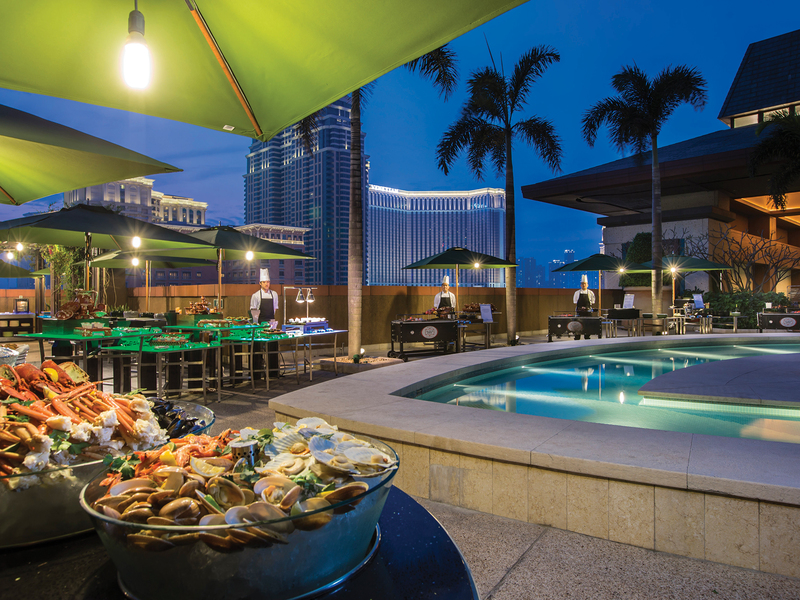 Rock up into the pool by Wave Bar every weekend and enjoy a hearty barbecue while you’re at it. For $378, sink you teeth into items such as succulent steaks, burgers and salads, and enjoy access to the swimming pool right beside the premises. 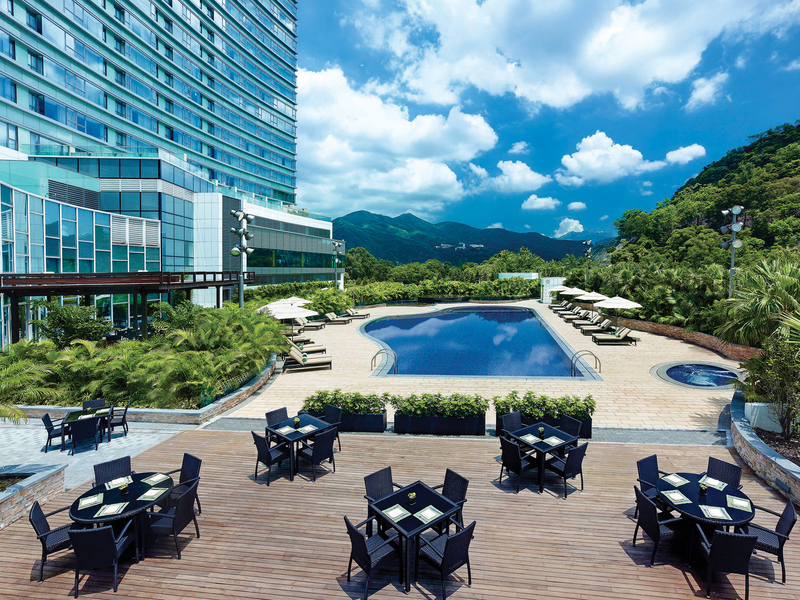 Have a picnic by the pool at Cabana Bar in the hottest hotel in our neighbouring SAR. A weekend barbecue awaits with sizzling sausages, steaks, chicken wings and salads. 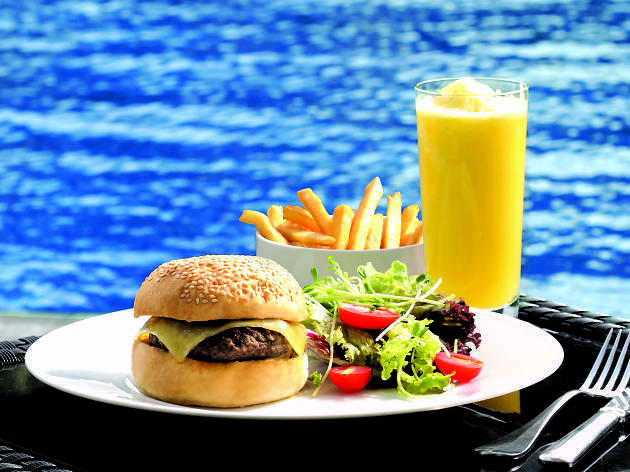 And, from 11am to 3pm, you can take a dip in the crystal waters of the pool and work off some of that grub. $298.